There might be some confusion as to what exactly constitutes as an Instagram takeover, but the method has been around for some time. Allowing social media influencers to take over your Instagram account for a period of time is smart tactic for certain brands. However, there’s been just as many brands who have tried and failed to gain social media engagement with a costly influencer. If you’re like most organizations, you’re working on a tight budget. So hiring an influencer for an Instagram takeover might not be in the bag. Before you even get started, your Instagram takeover should have end goals. Just like any other marketing strategy, you want to outline your goals, the metrics that define success and what you plan to see once the takeover is complete. One of the more novice things to do is set unrealistic goals that only chase vanity metrics. That means you don’t expect an influencer to come in and deliver 500 new followers in a week. For starters, that’s unobtainable for some of the bigger brands and it’s a metric that won’t really pay off. Your focus should be obtaining real, ready-to-engage followers who want your opinion or expertise in the industry. According to a Sprout Social 2017 Q1 Index, 48.6% of millennials already say they follow brands on social media. At the same time, 41% of those millennials said they follow brands for information, whether it’s on their products, services or industry experience. Engagement is critical to users getting information from you on Instagram, which means you can’t just rely on follower count. Likes Received: Total number of likes for Instagram content within a set time. Comments Received: Total number of comments for Instagram content within a set time. Total Engagements: Total number of likes and comments received. Media Sent: Total number of instagram images or videos posted to your feed. Engagements Per Follower: Average engagements received per follower. Engagements Per Media: Average engagements received per post. Was there enough promotion to lead up to the event? Did your Instagram takeover successfully plug or promote your product or service? Was there a positive reaction (no matter the amount) between your influencer and community? Did your community leave with something of value? Did the experience teach your brand anything? Collecting these metrics or tracking vital goals makes it simple to benchmark your previous efforts against any content used during an Instagram takeover. Does your current social media tool provide this type of in-depth data and network reports? If not, it might be good time to try our 30-day free trial to see how Sprout’s Instagram tools can help your organization. Instagram’s various content features expanded dramatically in the last year. You have several options that range from live video to story-board images. This means you need to be sure the style of content will work best with your audience during the Instagram takeover. But it also means you need to agree on what content you want from your influencers. You have to be on the same page as your influencer and it should be clear who’s providing the content ideas or even a working script. There’s no right or wrong answer to who should provide what content, but discuss these details before your get into your content planning. This will make the process smoother and more efficient. Outline expectations in your proposal. Need help creating one? Download our free social media proposal template here! Not 100% sure what takeover content will ring with your audience? Look to your biggest industry competitors for motivation. It’s never smart to copy another brand’s style, but doing some competitive analysis to see what content resonates is critical to being relevant. If you’re not sure how you’re going to do this, we’ve got you covered. 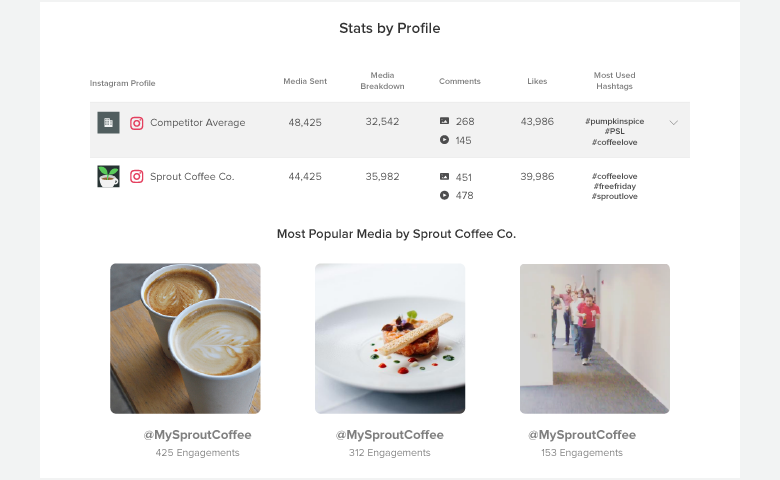 Sprout’s Instagram competitive reporting features allow you to stack your brand up against a competitor to see hashtags, posting habits and what works best between brands. You must be confident in your content–especially when working with influencers to help promote your brand. And on top of that, outline your content promotion strategies with your influencers for your takeover. Whether it’s using competitive analysis tools or your insights from previous strategies, be certain in your promotion. On the other hand, there are positives to this if you find the right match. Taking over an influencer’s feed allows you to directly connect with those who might have never clicked to see your brand. With this, you have to be cautious and humanistic with your approach. For example, Whole30 promotes influencer’s content for dishes on their accounts. It makes sense too. No one wants more ads in their feed. But this could be a great chance to open conversations, interact with influencer’s followers and move the conversation to your account after the takeover. Brand awareness should be a top priority during your Instagram takeover and it all starts with being a voice in the industry. By having an easy-to-access community for industry leaders, customers and interested users to join, you build brand awareness through conversation. However, not all brands provide a simple avenue to join the conversation. Instagram works well as a social network for communities with similar interests. So create experiences for your Instagram takeover that will be relevant and also show you’re an essential part of the community. This is why user-generated content works so well for brands on Instagram. Posting content from your followers not only builds trust, but it also shows you’re proud to let the consumer show a unique perspective or artistic viewpoint. Free People does a great job at allowing user-generated content takeovers for their Instagram Stories feed. While it’s not the standard “takeover” marketers are used to, this tactic does allow people to see clothing designs and picks. This helps reach a wider audience and connect even deeper with those who enjoy Free People. Another way to build a great space for your community is with hashtags for Instagram. In a nutshell, your hashtags categorize content for you or provide the “link” to your account. Because there’s only one link allowed on Instagram–located in the bio–it’s hard to link users back your Instagram account. Branded: Roughly 70% of all Instagram hashtags are branded. This is because they work. Branded hashtags are unique to your brand and provide an avenue for users to participate or reach out to you. Community: These hashtags have no direct tie to a brand or company slogan, and are typically used just as a way for users to connect to communities on their own. However, it’s not out of the realm to use community hashtags to reach others on Instagram. Finding your Instagram influencer is not a walk in the park. You ultimately want someone who has the skills to engage with your industry’s communities and drive conversation to your brand. But you also need a person who will attract viewers and reinforce your brand. This is not an easy balance. But just because someone has 1 million followers, doesn’t mean he or she is right for you. Instead, try to start by outlining your brand values. Just like when you hire someone to your business, you look to make sure they’re a good fit for your brand. The same diligence is needed for influencers. Not only do you want them to match your brand, but moreso your audience. Does this influencer have similar followers as your competitors? Is their aesthetic in line with your target audience? How often do they engage with their own audience? These are questions you need to ask before simply hiring the top pro-athlete in your city. You’re better off choosing a lesser-known individual who knows exactly what they’re doing than an Instagram star. Twitter: Twitter’s Advanced Search makes it simple to narrow down a pool of millions to a few dozen. Use appropriate Twitter search operators to filter your prospects by looking for specific terms, locations or connections. LinkedIn: Known as the largest professional network, LinkedIn was actually built to help you find and connect to those in your industry. LinkedIn’s search features continue to improve, allowing to filter on keywords or phrases. Then you can see their connections, presence and authority in the industry. BuzzSumo: One of the best tools to use is BuzzSumo. Here you can use discover and outreach features specifically made to find bloggers, brands, regular people, and social media influencers that fit your industry. 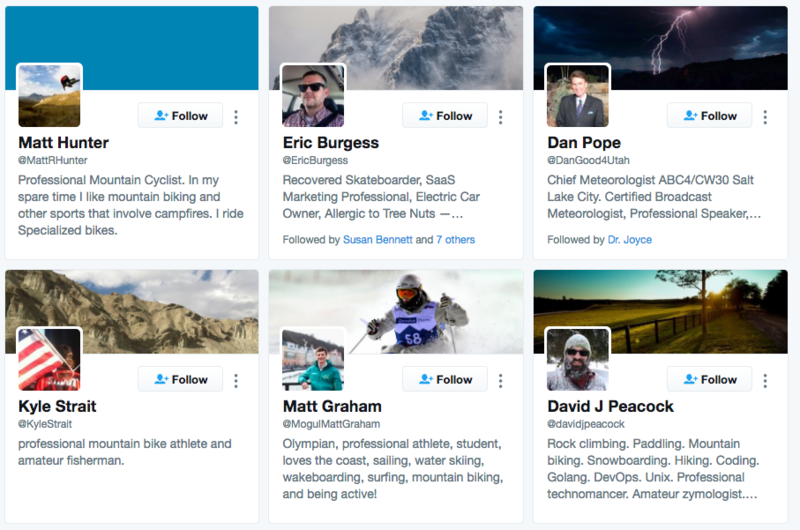 Not only do you get industry leaders, but you can view metrics like follower count, Retweet ratio, reply ratio and average Tweets. Sprout Social: Who’s commenting the most on your content? Do they have large audiences? What users are getting more engagement out of your hashtags? 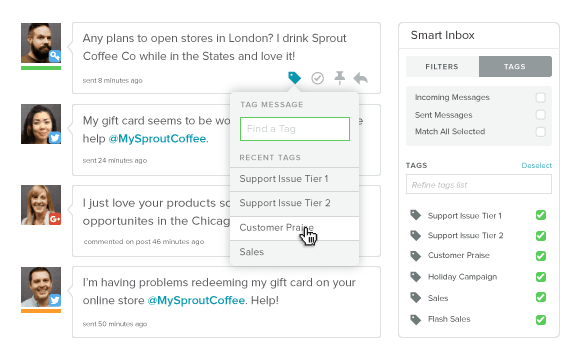 Sprout makes it easy to answer these questions and more. With engagement tracking and hashtag analytics, you can see who dominates Instagram with certain content. 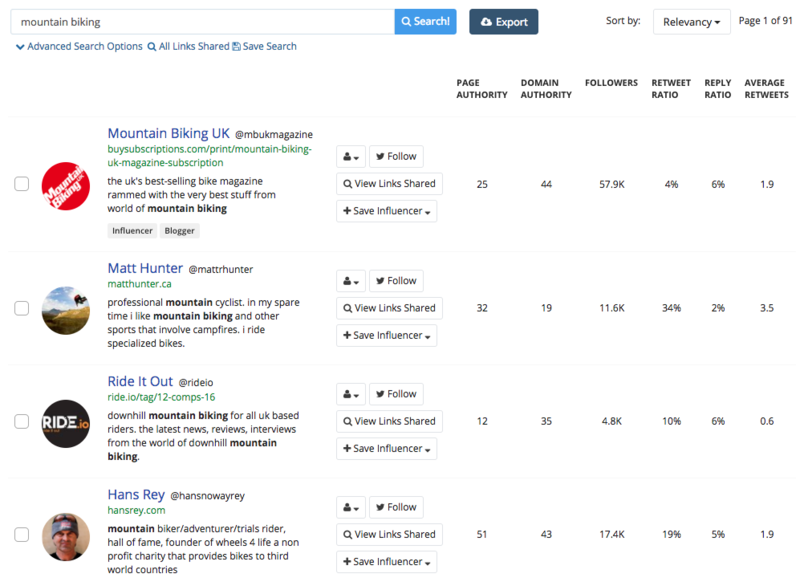 Find influencers with Sprout’s social media listening tools. Last but not least, the thing you want to see in an Instagram takeover is organized content that’s delivered on schedule. A hastily put together content strategy with an influencer will turn off audiences and do very little to boost your brand awareness. If you’re going to put this much effort into your Instagram content, you need to be sure everything goes smoothly. Luckily, we provide awesome Instagram scheduling tools to ensure your content reaches your audience at the right time. Most Instagram users publish in the moment, which makes the social network unique. But planning, strategizing and using a scheduling tool will keep your Instagram takeover on track. 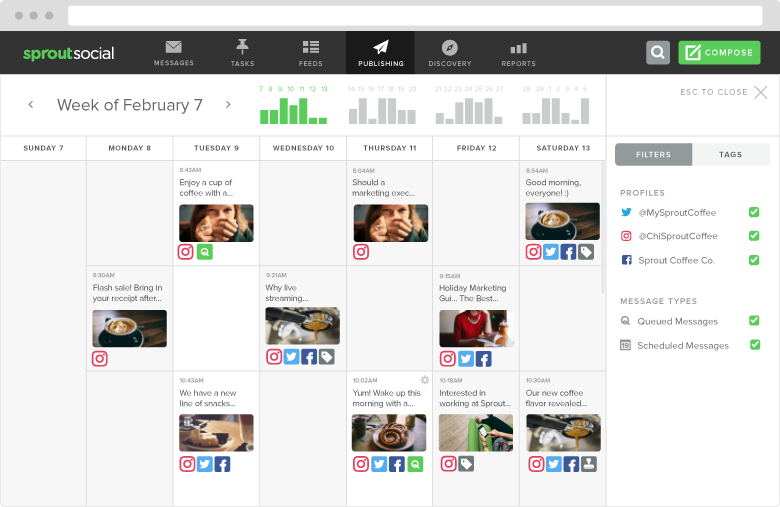 Easily view content across platforms with our content calendar so your entire team is aware of the takeover. Monitor your influencer content as it comes in and be ready to identify what truly spoke to your audience with analytics insights. An Instagram takeover doesn’t have to be the end-all strategy to your content campaign, but making sure these few things are included can make all the difference.